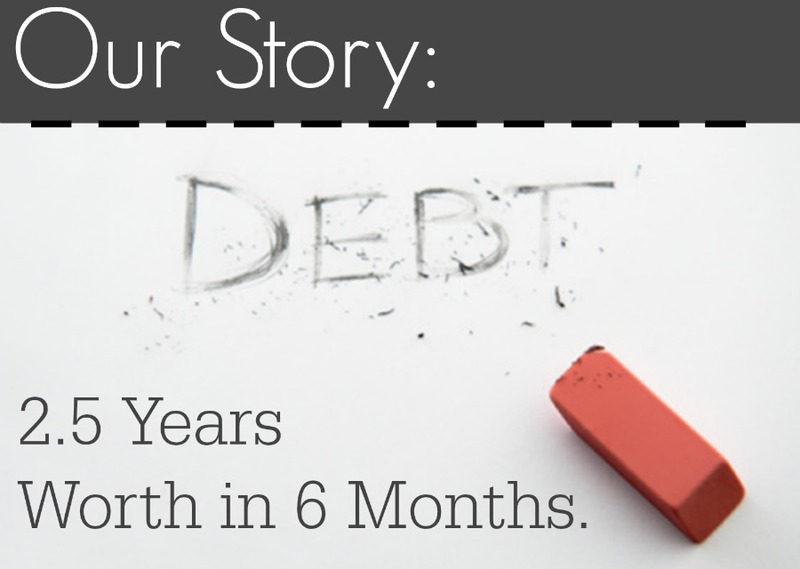 Rootandblossom: How We Rid Ourselves of Debt 2 Years Early! How We Rid Ourselves of Debt 2 Years Early! Back in the fall Chris and I sat down and crunched numbers to determine when we'd be out of debt sans our house mortgage and it came to 2.5 years. Being in our mid-late 20's we actually didn't think that was a problem, there was even a tad of pride (unfortunately) over that number for us. Come fall after going round and round about it Chris and I finally decided to pay the $100 and take the course. I will admit that my biggest motivation was just to hang out with this gal and if we learned something along the way, well then great, if not we had the satisfaction of knowing we had been right all these years. After the first class Chris and I were hooked and humbled. Believe it or not but all his teachings have biblical foundations. He's adamant about tithing and not dipping into tithing to payoff debt and ultimately desires for people to be rich to give generously. It seems a little backwards to save $1000 in the bank before paying off debt but he explains that step one is to stop the "bleeding" so that when you start attacking your debt and something comes up, hey no worries because you have that emergency fund sitting there just for those reasons, an emergency! 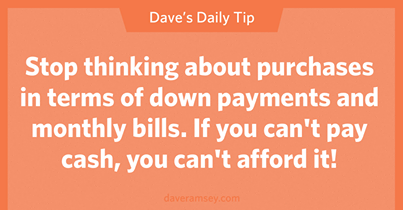 You learn quickly that Dave is all about cash spending too, never should you take out a loan (besides house but he has "rules" for that too that make a lot of sense) or do payment plans. 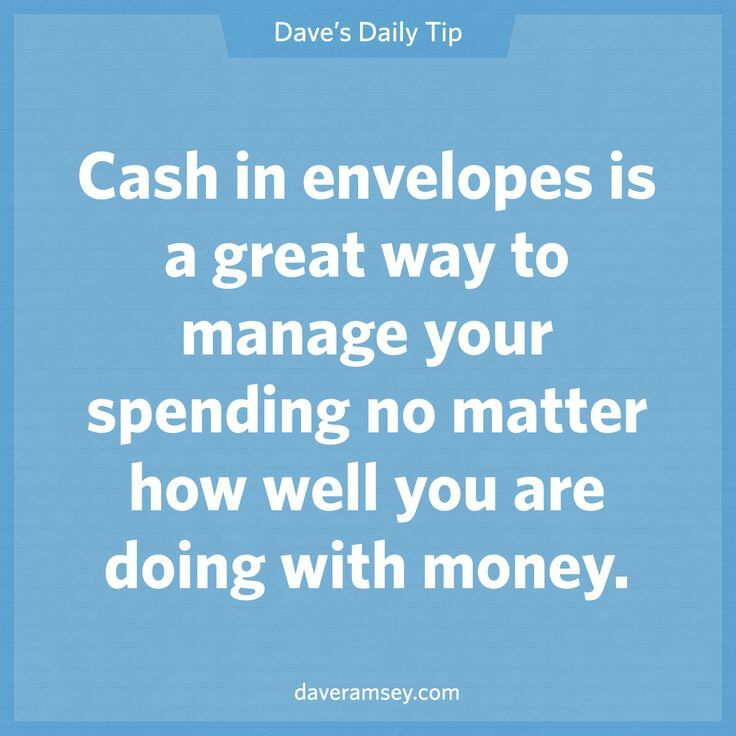 Every purchase and all spending should be planned for and taken care of with money already saved. He says that a budget shouldn't be viewed as a restriction, that a good budget is you telling your money where to go! When you first organize out your budget it can be daunting and overwhelming but the more detail you put in it, the less headache in the long run. Since FPU Chris and I have created a rather detailed budget that breaks down our monthly spending into things like groceries, clothing, household items, baby supplies, personal spending for him and me, dinning, entertainment, gas, transportation (tolls and ferries), gym, all separate utilities and services, tithing, charities, donations, gifts, books, phones, medical, mortgage, student loans etc. For some of these budgets we pull out cash each month and when the money is gone, so is our ability to purchase. For budgets that work more realistically with transitions we closely follow the app Mint on our phones. Through budgeting we quickly learned that though we never considered ourselves spenders, we made a lot of little purchases that always added up to be more than we figured. With budgeting we were able to finally meet our tithing desires, as well as have extra money set aside each month to have available for gifts and random acts of kindness! Some budget lines like personal and clothing we let roll over each month while with others the 'left over' was then thrown at killing our debt (or whatever step of the 7 steps we're working towards). 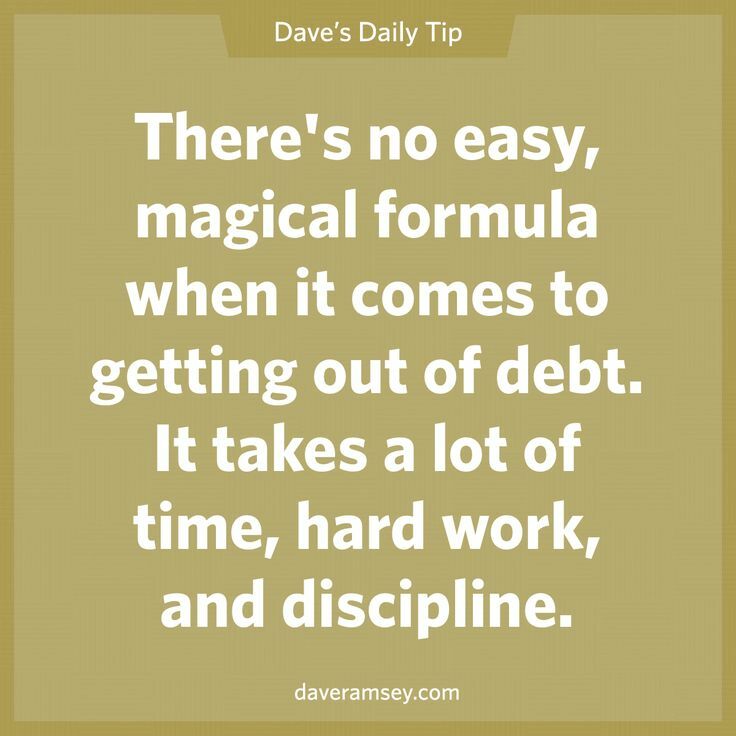 Dave believes in a zeroed out budget at the end of each month meaning at the end of each month all the money finds its home, nothing is left hanging around. Tell your money where to go! Even though our car lease debt was by far our largest we figured out a way to get rid of that debt entirely in a way that would just take a couple hours, we simply gave back the car and wiped our hands of it. Car loans of any sort are a big no-no to Mr. Dave. He says that true millionaires don't drive brand new cars or cars they can't afford, if you want to be a millionaire then you need to start acting like one! 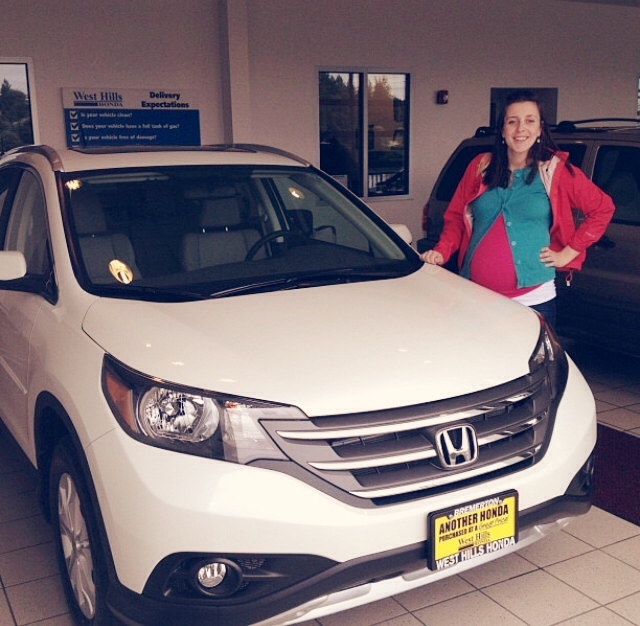 Just before Gabriel was born we leased at brand-new 2012 Honda CRV. This was my first car and I was completely in love with it. Now, we actually find that leasing a vehicle nowadays is a rather great deal IF you plan on buying the car at the end of the lease and owning it for a very, very, long time. That was the original plan. When we leased the CRV we planned that after a couple trips to Japan we'd more than be able to pay off the remaining balance of the vehicle at the end of the 4 year lease and pay less for it than what it was worth, good deal. Well, after getting quite a ways into Dave Ramsey those 10s of thousands of dollars started weighing really heavy on us and we started to realized that even if we bought the car at the end of the lease we'd probably only have it for a couple years before we felt like we needed something bigger for our growing family- no longer a good deal (for us) to lease. After tons of talk and a little bit of morning (seriously loved that car) we decided that we would try to break lease hoping it wouldn't cost much more than a grand. We would then take the money we had in savings to pay off the 2012 CRV and buy a different family car outright completely with cash in addition to trading in my husband's lemon-of-a-truck that was bound to keel over and die for good any minute. Speaking of truck, before deciding on a new family vehicle we had made the decision that though a truck was handy to have, it just wasn't practical for Chris to have as a commuter vehicle so we had previously purchase Chris a tiny little Chevy Aveo (with cash) freeing up the truck to trade in. If you have any anxiety about buying a car or 'dealing with' car salesmen we highly recommend reading up on what Dave Ramsey has to say about buying a car. It comes down to having a plan (shocker) and sticking with it by taking along cash only. Chris and I had 'the plan' of only spending so much money on the first car we bought together but because we didn't physically have cash on us and instead just a number in our head we were easily swayed from said price tag. This time we pulled out a whopping six grand in cash, put it in our pockets and drove the truck to a dealership, said we wanted that car (an older CRV) and would give them this money and that truck. We had all the power! It was almost embarrassing and uncomfortable to see them try and bargain with us, hoping to get more money but with our 60 one hundred dollar bills sitting on their desk and a truck waiting for them in the lot, it was obvious we meant business and if they didn't want to make it work we were more than willing to leave. That's the hard part, you need to be willing to let go and walk away. We drove home that night our new (old) CRV completely owned by us. Oh and that lease, the other dealership was more than willing to break contract and actually bought the 2012 CRV back for exactly how much we owed- since we had been out of the country and not driving it for an extended period of time the miles were very low and they were easily able to turn around and sell it for more than what they bought it back from us with. Side note, we totally followed our old-new CRV around town a week later, so weird. In one week we slaughtered over 20k in debt because ultimately was it more important to have a brand spankin' new car (I was 24 when we bought it, come on get real) or one that we owned and didn't add debt to our name? 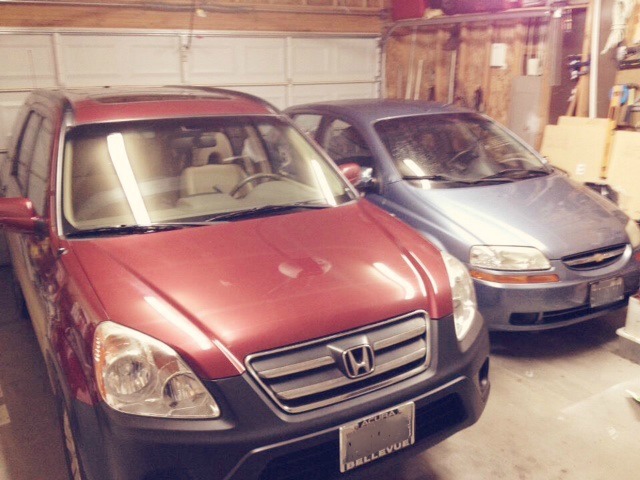 We feel that we could afford the 2012 CRV but it just wasn't worth it, that was living too close to our means when that's honestly not necessary for us and we can be perfectly comfortable and content under our means knowing that by doing so we'll no doubt be able to maintain financial peace for the rest of our lives. As far as the student loans go, because we broke our lease and freed ourselves of a car payment instead of our extra cash from working abroad going to our car fund we threw it all towards student loans and just like that we paid off our debt in 6 months rather than the anticipated 2.5 years! Yes, it meant and will continue to mean sacrifices but not sacrifices forever, just sometimes for the time being. We didn't do any big travel trips this year in Japan but now that debt is gone we know we get to now save up to take a big trip down to Kyoto and Hiroshima next year! Now that debt is gone it means we can save for trips with family without stressing about the cost of things. Because we now know the important of being and stay debt free we more freely set ourselves up nicely for retirement in the future, yes at the ages of 26 and 28 we are already very much so planning for and setting ourselves up for a nice retirement. Money and finances don't need to be stressful, you just need to be intentional and realistic. One of my favorite quotes of Dave Ramsey's is, "If you will live like no one else, later you can live like no one else!" In other words, if you don't worry about wearing the hottest treads, going to the most exotic places, eating at the most sophisticated restaurants, driving impressive car now even though it seems like everyone else your age is then later in life you can do all those things freely AND afford it. He also says that one of the biggest mistakes young adults makes it to try and keep up with their parents financially even though their parents have spent decades building their lives to where it is now. 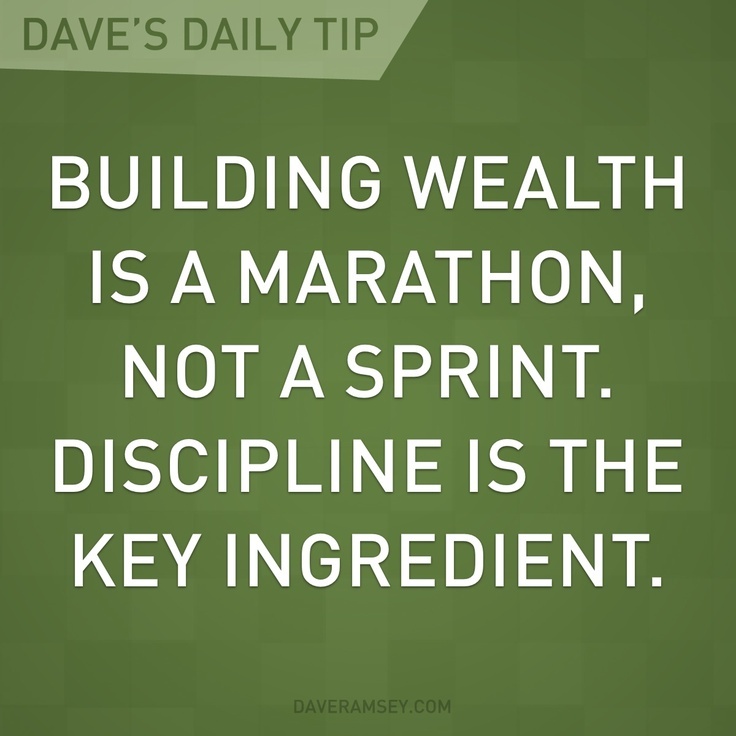 Dave Ramsey isn't the end all be all for finances, we don't agree with everything he says but he has changed and shaped our mindset about money in a lot of great ways and we do own our speedy debt free journey to his teaching and wisdom. We're fortunately in a phase of paying down debt at the present moment. I like that snowball approach! This is awesome! Unfortunately my husband is in medical school and by the end we are going to have over $200,000 in debt! AH! But we definitely plan to get it paid off as soon as possible! Awesome article! Thanks for sharing. My husband and I have been trying many of these same techniques, and there is still so much more for us to learn! Such good news, Lena! Congrats! I'm so proud of you and Chris! We've been teaching the college edition of FPU (Foundations of Personal Finance) at Resonate the past two years and have seen lives changed. We're part of a generation that was never taught how to handle money and have had the learn the hard way that debt is enslaving, not freeing. Great job on working hard toward freedom. As long as you're aware of it, have a plan, and take it seriously I'm sure it won't be as daunting as it might seem like now. Always so much to learn! We've tried a number of things over the years but never stuck with anything consistently until now. Thanks Alli. That's awesome you guys are doing the college edition! I really wish it was around when we were there, we would have made a lot of different decisions those first couple years of marriage. And you are right, 'you don't talk about money' is how it was treated for us with our parents or our parents really lived on spending all that money they don't actually have (i.e. credit cards and payment plans). One thing is for sure, we will be very open about money, spending, and budgeting with our kids. They will be part of the conversations and see the ins and outs of it all. 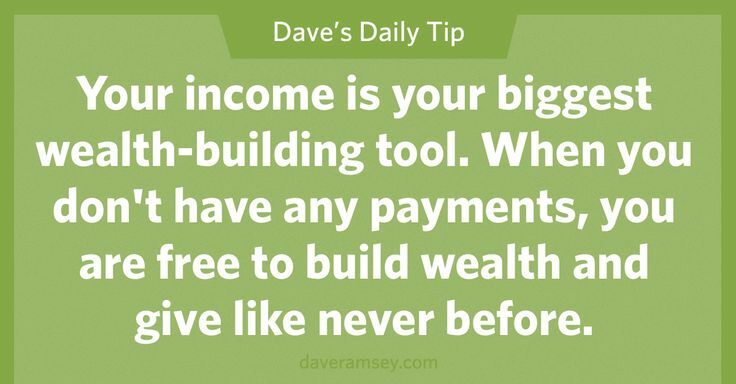 LOVE me some Dave Ramsey. We call him Uncle Dave around here. Haha. The first thing we did was sell our car and we will never borrow for one again. Ever. We're a long ways from being out of debt (freaking Bible School!! ), but we'll get there and we totally intend to drive to Nashville and do the debt free scream in the studio! Congrats on your debt free life! 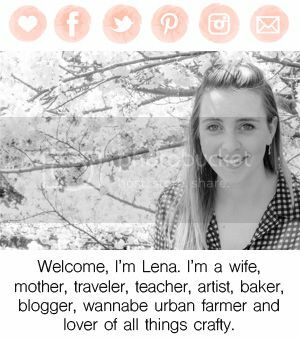 Great post Lena! My husband and I haven't taken FPU, but we have Dave's books and DVDs and like to listen to his radio show. He gives some great advice! Isn't nice to be on the same financial page as your spouse?